Write to witness. Write to remember. Write to liberate. The writing hand is a fist formed to harness the power of creative potential. Incorporating a variety of healing practices and writing prompts, we will gather to cultivate community and celebrate our resilience, healing, and survival. 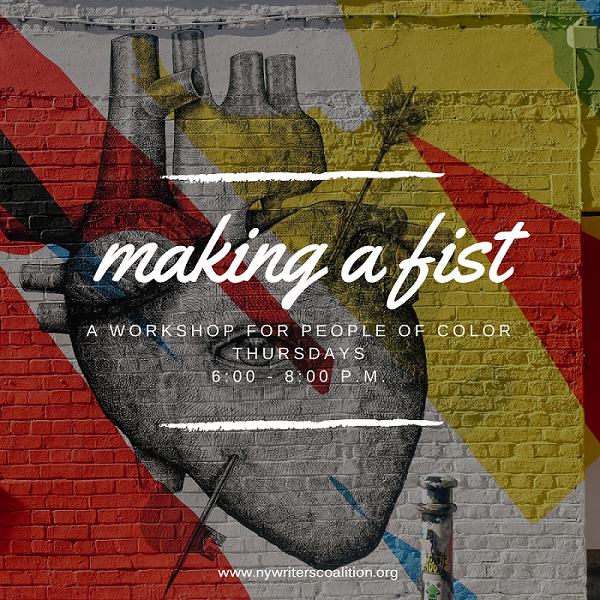 Join us in Making a Fist, a self-care oriented writing workshop for people of color (POC). This workshop is FREE and open to writers of all genres and experience levels. To ensure the safety of this space, please tell us a little about yourself via this pre-workshop survey. Upon completion, you will be contacted via email with the address of this Brooklyn workshop location and/or if NYWC staff has any questions about your registration form. 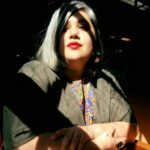 Making a Fist is led by NYWC Workshop Leader Sára Abdullah, an indigenous SWANA/Filipinx non-binary femme Muslima descended from nomadic dreamweavers, kitchen witches, tricksters, and storytellers. She honors those who came before and those who gather with her in circle through a life’s work in plant medicine, healing, magic, writing, and nurturing the creative spirit in herself and others. As a poet, storyteller, cultural organizer, and healing artist, she is committed to uplifting radical tenderness, (re)membering embodied knowledge, and building collective liberation. Registration for this workshop is currently OPEN. Please email our Program Director Timothy DuWhite at timothy@nywriterscoalition.org regarding any questions.